This is the third in a series of Friday posts about apps I find interesting, useful, and maybe even fun. I hope you will return here often to see what I am sharing and to perhaps share YOUR ideas as a comment or in an email to me. It Was a Cold, Dark Night is a free interactive children’s book, but it is much more. This is one title of a collection of excellent examples of balanced interactive ebooks for young iPad users. The title is a nice story for 3-7 year olds and includes “read-to-me”and “read-by-myself” modes and a story creator tool. This book has interesting illustrations, simple animations, nice sound effects and a couple of other wonderful features… read on. eBooks for young readers must be very carefully balanced between the story, the words, and the interactive features. It Was a Cold, Dark Night does that balance well. 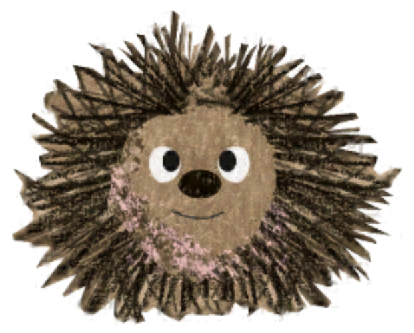 The story is a nicely told tale of a little hedgehog’s journey looking for a winter home. In the “Read-it-to-Me” mode each word is highlighted as it is spoken. The story uses predictable language patterns and a predictable repeated storyline (meeting various animals in their winter homes) which will help even beginning readers to have some success in the “Read-it-Myself” mode. In both of these modes there is even a hint mode to help little ones (or their adult helpers) know where some of the interactive spots are on each page, though I think just touching and trying things is more fun! When the book is finished being read there is an optional quiz at the end of the story… a needless addition in my mind, I would rather have young learners move directly to making their own stories using the Story Creator Tool… more about this tool below. In any of the modes there is an option to record your own narration… but it is even better than that, you can record up to THREE tracks on each page. When you are on the home page and you select the “Read-to-Me” option if you have recorded a least one page you will have the option to choose the version with your recordings or the “Big Cat Narration”… unfortunately these menu options are not spoken for the reader, one of the changes I might suggest to the publisher. The Story Creator Tool is a really nice addition to this app. Young readers, or almost readers, can create their own story right in the app. They can have multiple pages with different scenes (backgrounds) and add characters from the story, objects from the story and even their own text. They can record their story and even their sound effects too. While the app is probably designed for family use, there is a menu in the Story Creator Tool which allows for multiple books to be created and edited, though there is no”protection” of each from other users on the same device. I can imagine projecting this app and working with a group. We could listen to the narrated version, predict the storyline, discuss the artwork, reenact the story, and even make our own sound effects. Then the app could become a paired reading center where students could listen again, begin reading it themselves, and maybe even record the book for others to hear. The Story Creator tool could be another activity for some students, and since the paperback version of this book is available for sale online (for about $5) we could use it to provide the knowledge links back to print and print literacy. In some settings and with some students this could certainly serve as a jumping off point for creating their own “books” using other creative tools and apps as well. The publisher is in the UK, and I am not. I knew very little about hedgehogs and so I went and did a little research to verify that hedgehogs, like little Ned in this story, do actually hibernate, often in piles of leaves… and they do! So even I learned from this excellent little app-based book.